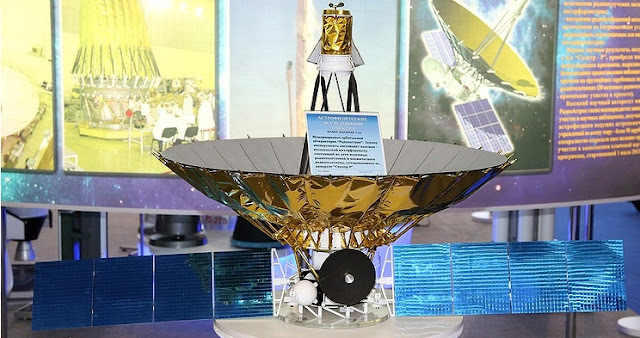 The Spektr-R space radio telescope’s transmission device failure may have been caused by cosmic radiation accumulated in the spacecraft’s electronics during the past eight years, a source in the Russian space industry informed TASS on Monday. "The specialists cite the influence of the radiation dosage accumulated during the flight period in the satellite’s electronic component base as a possible cause for the failure of the Spektr-R receiving and transmitting device," the agency’s source informed. On January 11, the Gazeta.ru internet portal reported problems with the Spektr-R spacecraft, citing the Radioastron project head and corresponding member of the Russian Academy of Sciences Yuri Kovalev. Nikolai Kardashev, a member of the Russian Academy of Sciences and director of the Astrospace Center (the Radiosastron project contractor), told TASS that the satellite’s control has malfunctioned, although the spacecraft still emits a signal. Roscosmos told TASS earlier that Sunday’s attempt to regain control of the old Spektr-R satellite had failed. Spektr-R (or RadioAstron) is a Russian scientific satellite with a 10 m (33 ft) radio telescope on board. The main scientific goal of the mission is the study of astronomical objects with an angular resolution up to a few millionths of an arcsecond. This is accomplished by using the satellite in conjunction with ground-based observatories and interferometry techniques. Another purpose of the project was to develop an understanding of fundamental issues of astrophysics and cosmology. This included star formations, the structure of galaxies, interstellar space, black holes and dark matter.